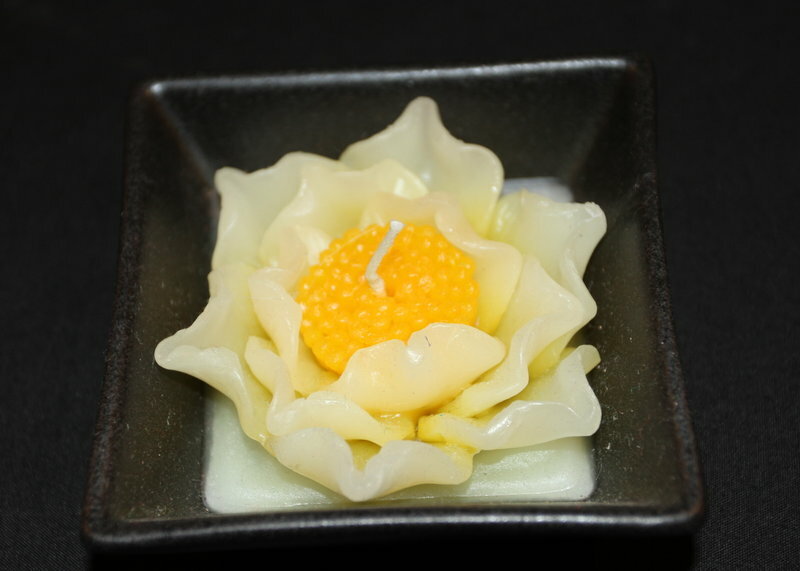 This attractive candle has been carefully hand made and placed in a black ceramic dish for safe burning. It is approximately 8cm square. The dish is also a fair trade product. All candles are unscented.